I'll admit, I'm not a hashtag or a selfie girl but these two gals just won me over. My good friend, Andrea, teased about these two being us. And she would be the one goofing around while I'm trying to take a picture. That's what great friends are for. I've hashtagged with several of the new Amy R "Teen sentiments"
just perfect for these girls. 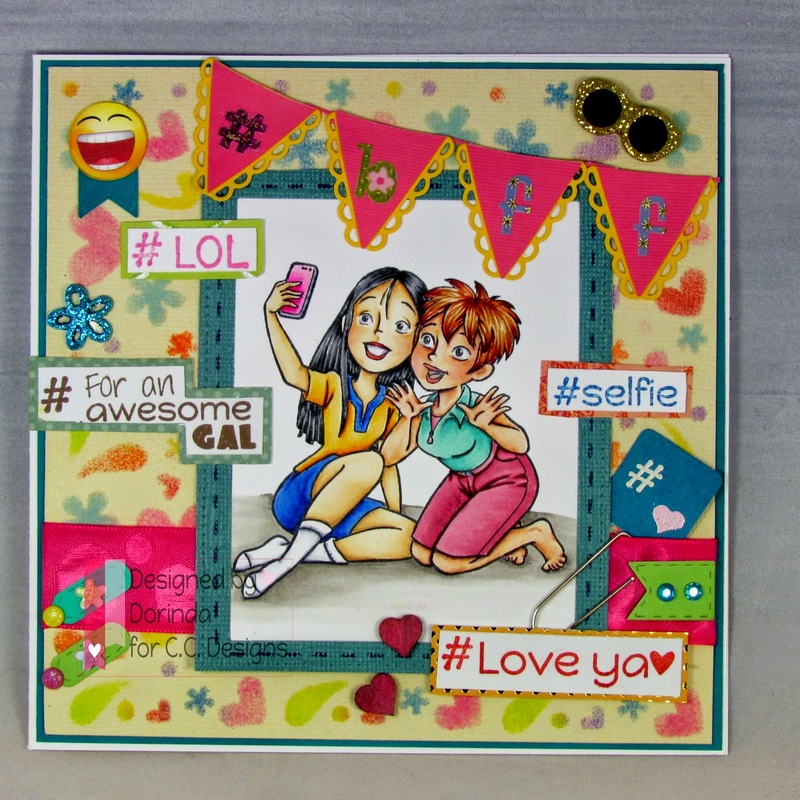 I've also used banner pieces from the new "Make a Card #3"
AND the new stencil "Gal Doodles"